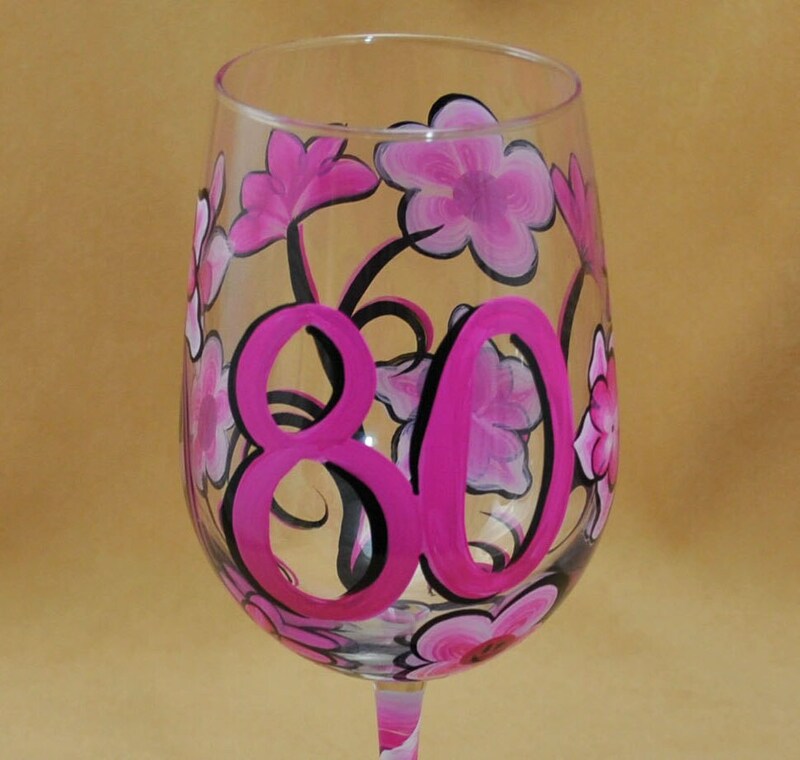 We painted this 80th Birthday glass with a lovely floral pattern that was originally inspired by a Lilly Pulitzer pattern. 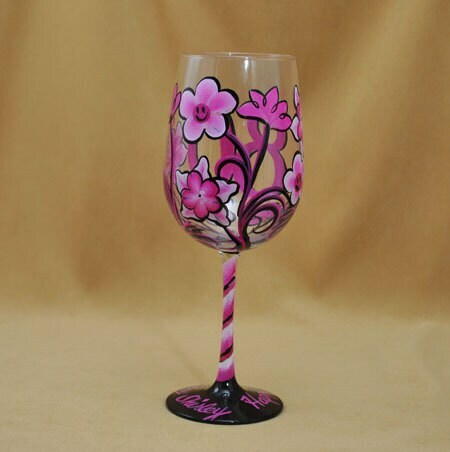 Someone saw the pattern and asked us to paint it in Hot Pink Black and White with smiley faces in the centers of the flowers. 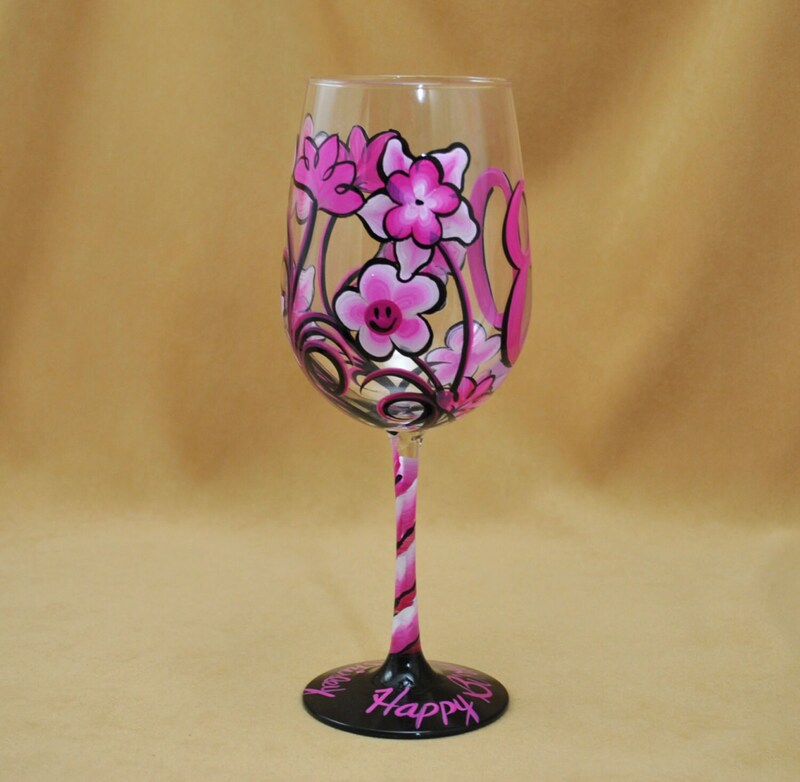 I thought it was delightful and decided to offer it here on Etsy. 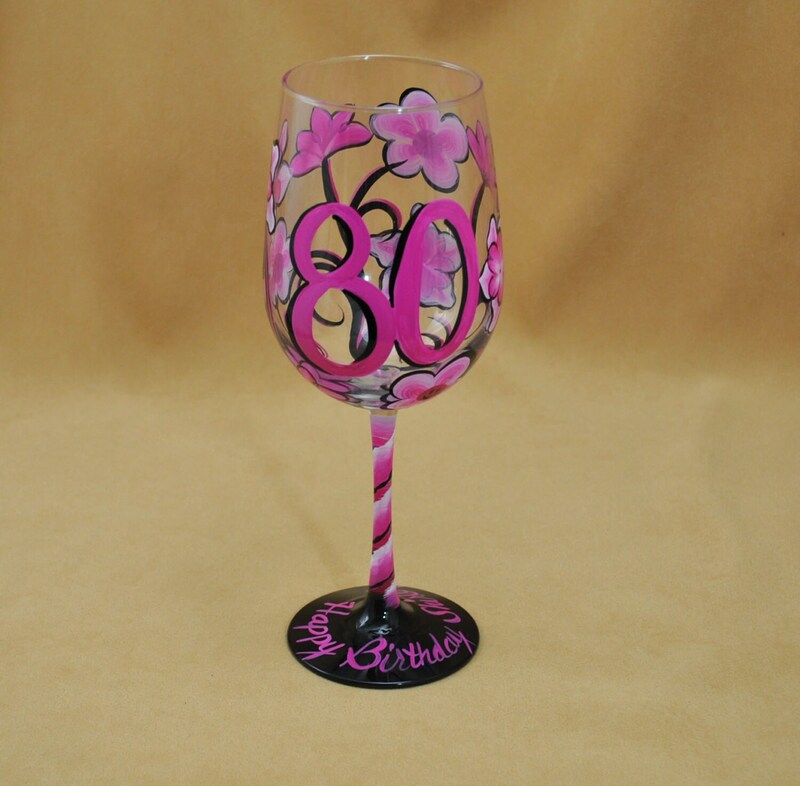 You can have this glass with any number you'd like instead of 80, in any 3 color combination you'd like and your glass can say anything you would like on the base. Please let me know if you have any questions about this piece.